The Keeper of the Craft. The classic, timeless, frame. Sweet ride, forever stylish. 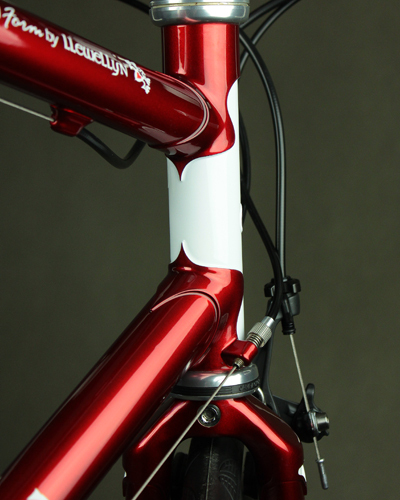 These are made to measure lugged road, track, fixie, or touring type frame and fork built with standard round double butted “Columbus Spirit for Life” tubing. 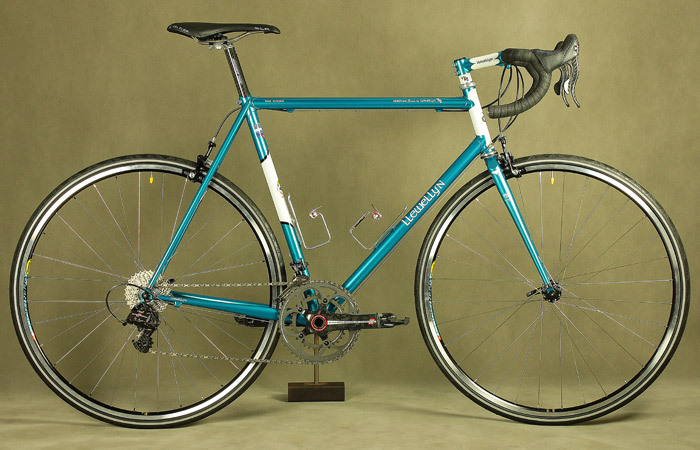 Custom geometry with horizontal top tube. 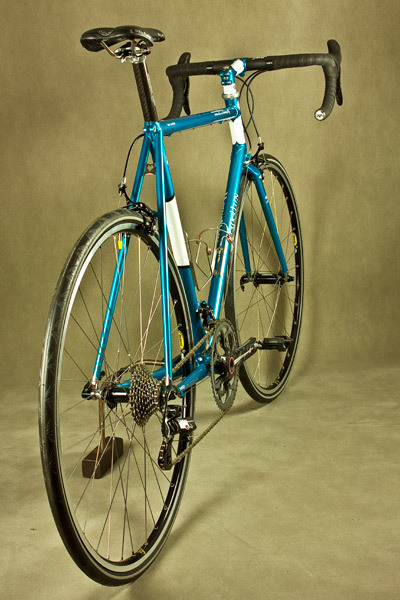 Proprietary “Llewellyn Custodian” lug set (track frame includes rear Llewellyn track dropouts with replaceable stainless steel wheel facets). Curved or straight blade fork.